Designed for a bird's well-being! Place millet spray inside Holder and hang within easy reach of a perch. 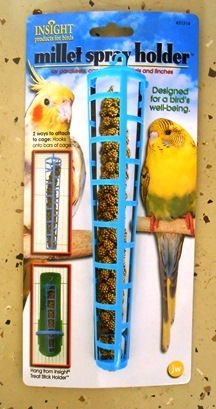 Helps hold millet in place so birds can happily nibble away.